John Lennon once said, “Life is what happens when you’re busy making other plans.” For me, life is what was happening while I was busy waiting for my big moment. I was ready for it and believed that the rest of my life would fade into the background, and that my big moment would carry me through life like a lifeboat... But this is what I’m finding, in glimpses and flashes: this is it. This is it, in the best possible way. That thing I’m waiting for, that adventure, that move-score-worthy experience unfolding gracefully. This is it. Normal, daily life ticking by on our streets and sidewalks, in our houses and apartments, in our beds and at our dinner tables, in our dreams and prayers and fights and secrets – this pedestrian life is the most precious thing any of us will ever experience. Singleness. It's like a four letter word to me some days and the biggest blessing on others. Because my friends, singleness is sometimes hard. Really hard. And sometimes it is pretty stinkin' awesome. The fact that I could pick up and move anywhere right now without regards to another person's life? Pretty great. I'll take it. Yay adventures. Here's the thing. I've been doing this whole singleness thing for pretty much my entire adult life. There are mountaintops and valleys, just as there are in any other aspect of life. The enemy is very astute. He loves to prowl around and plant lies in the most unsuspecting areas. He can sneak into thought processes in clever little ways, making it seem as though the lies are really just like the truth. I don't have any magical words or anything that hasn't been said already. But here is what I'm learning-singleness, just like any other life stage or calling that the Lord has given you-is an arena in which God can move in and through you. Life doesn't begin at the altar. God numbers our days and gives us people to love and tasks to fulfill in each day in every stage of our lives. And while we (the Church) think that sometimes the Kingdom is shaken by #powercouples, that simply isn't true. God can and will use whoever is willing, single or married. a) God does not owe us anything. b) God is good and gives us more than we deserve. The greatest temptation at any stage in life is to wish away the current season. Within our lives here on earth, we see the four seasons change (some more than others depending on where you live) each year. In winter, everything lies dormant. Spring brings glimpses of new life, and summer ushers in growth. 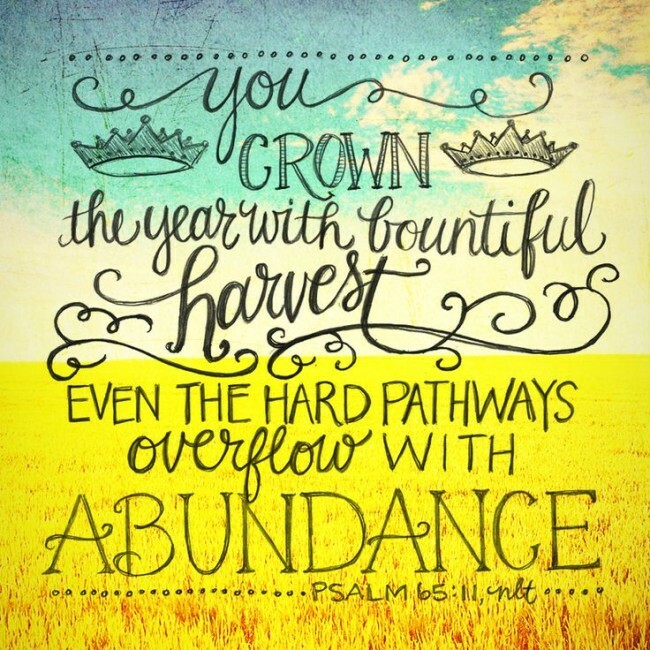 Fall is a time of abundant harvest. So it is with our seasons of life. We miss the beauty within our current season when we wish it away and do not appreciate it for what it is worth. God's will for us is to be thankful, and often times when we are thankful, He can do so much more in and through us. God, in His great riches, has bestowed upon us all that we need. He has given us new life through His Son, Jesus Christ. He has chosen us to walk in the light, and in the light, we find that we need Him more and more each day. He chooses to reveal Himself to us, and that alone is cause for rejoicing. Our hearts were made for Him. Our souls cry out to Him. And while us single ladies (and gentlemen) may find ourselves frustrated as we wring our hands at the heavens as we beseech the Lord for answers, we have to understand that He is in control, and all that He does is for His glory and our good. We have a choice: constantly question God and demand Him to do as we ask, or come to Him with grateful hearts, ready to be used by Him no matter what the circumstances or the cost. "You are Significant With or Without a Significant Other" by Shauna Niequist #preach. I love her.